Everyone Angeleno should try the Los Cocos Pupuseria at least once! 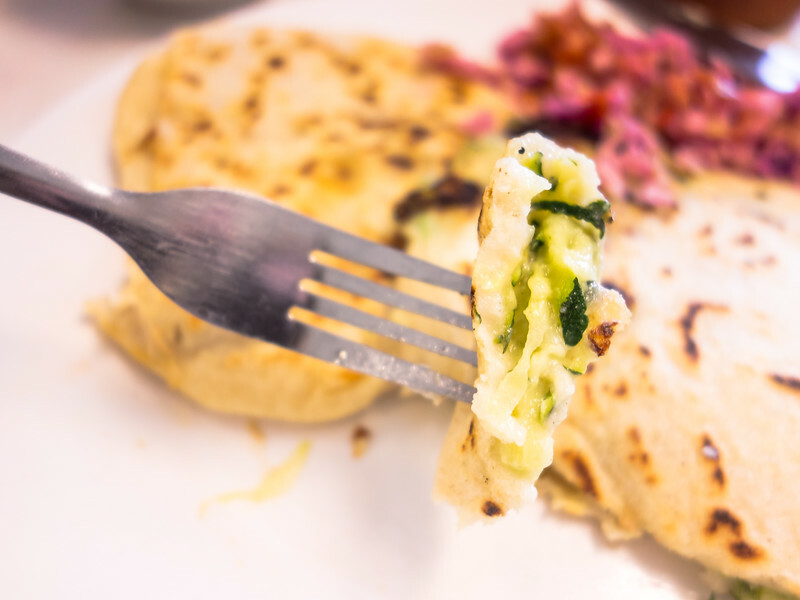 The fluffy, warm pupusas are the stuff my taste bud's dreams. One thing's certain about LA: there is no shortage of seriously delicious Latin American-inspired eateries, some more authentic than others. This one, my friends, is as authentic as it gets. My partner, The Professor, found this secret spot one day while working from home. 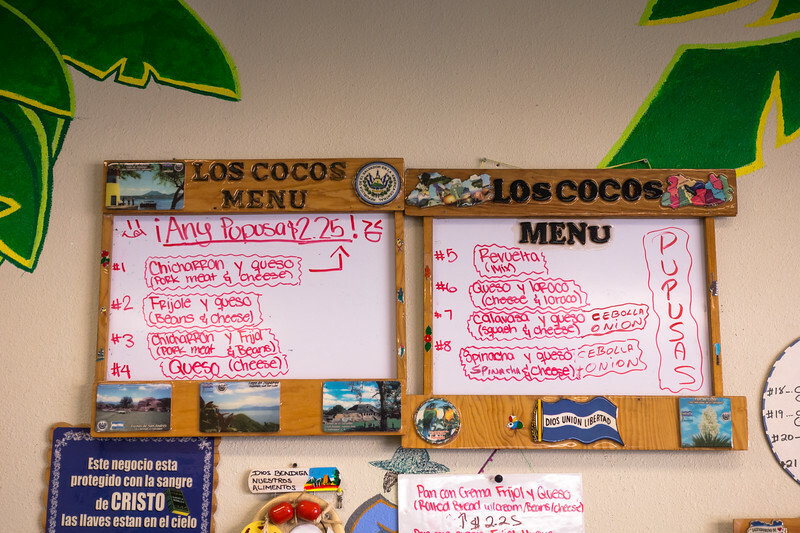 He had a hankering for some traditional MesoAmerican food and found himself standing counter-side at Los Cocos Pupuseria after a quick web search of nearby eats. 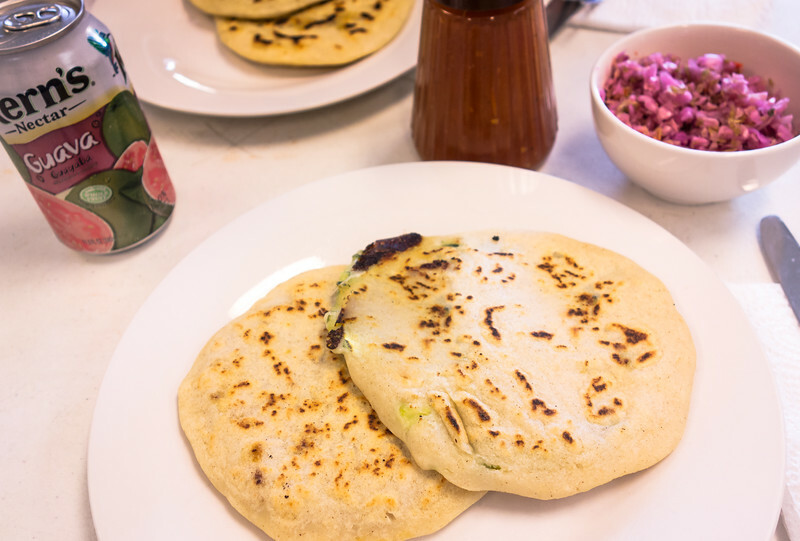 Now, you may be asking: what are pupusas? These fluffy little pockets of love are made from a thick, cornmeal dough stuffed with goodness (usually cheese, beans, meat and/or veggies). The pupusas are then lightly pan-fried, rendering them light and golden brown in the best kind of way. We have the country of El Salvador to thank for this great gift of goodness. I usually opt for the cheese with shredded pork and the cheese with squash varieties. The bean and cheese pupusas are good, too. And talk about affordable! At $2.25 per pupusa, you can feed a whole army. Pupusas are served alongside a house-made salsa (quite mild) and curtido, an amazing pickled slaw that is to-die-for. If you need a little more spice in your life, there is Tapatío on the table. Don't forget, dessert is waiting for you at the counter. This place happens to be a bakery, too! Where to find Los Cocos Pupuseria? Los Cocos Pupuseria is located right on the Western edge of Culver City & Los Angeles, technically Mar Vista probably. It is a truly authentic, hole-in-the-wall Salvadorian pupuseria and panaderia (bakery). This tiny 4-top cafe sits in a small shopping center, which, in LA, means it's incredible. Here you will find a somewhat limited menu in terms of variety, but, remember, quantity does not always mean quality.